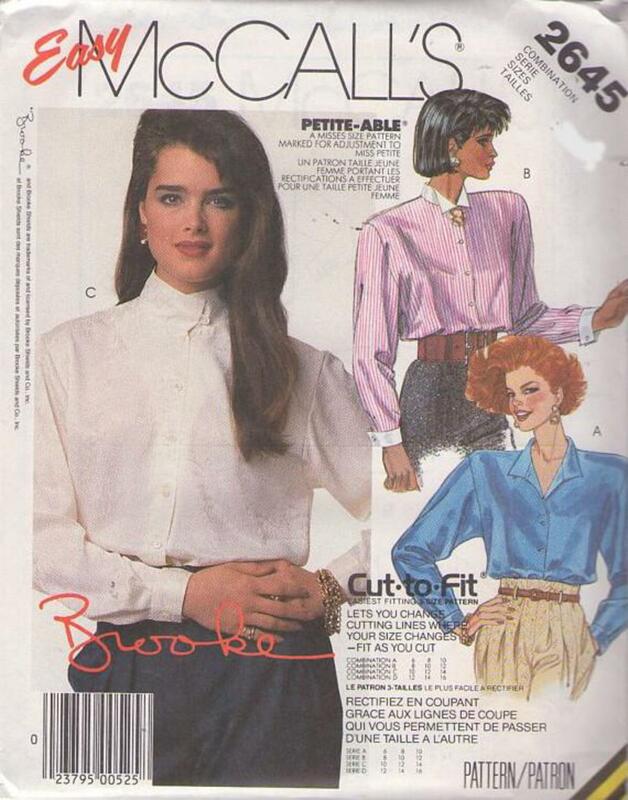 1986, 80s Career, Retro Office Clothing Patterns - MISSES' SHIRT: Front buttoned shirt has collar, extended shoulders, shoulder pads, back pleat, back yoke and long sleeves pleated to buttoned cuffs. Shirt A has loop and button closure on collar. Shirt B has contrast collar and french cuffs. Machine-stitched hems.